Robert Kirkman is a New York Times bestselling author known for being the cultural zeitgeist of the comic book industry. He maintains one prerogative in every undertaking: quality. It is Kirkman’s belief that good people who produce good writing and good ideas make comics people love. 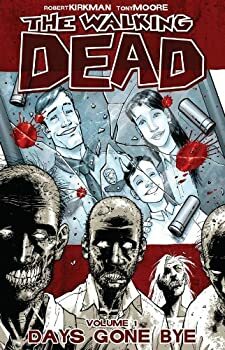 Kirkman was recently made partner at Image Comics, and continues to revive the industry with refreshing new characters. AMC is adapting his bestselling series, The Walking Dead, into a TV series (set to debut in October 2010), and his books are among the most popular on the iPhone and iPad’s “Comics” app. Robert Kirkman lives in Kentucky. His son’s name is Peter Parker Kirkman. Learn more about him at Robert Kirkman’s website. 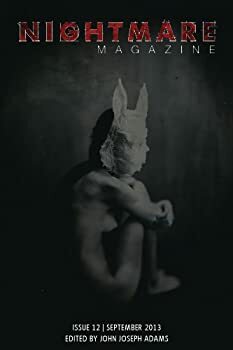 CLICK HERE FOR MORE TITLES BY ROBERT KIRKMAN. Kirkman mentions George Romero’s zombie movies in his introduction, but his take on the zombie is more than homage to Romero’s movies. While Romero’s zombies often satirize our consumer culture, Kirkman’s undead are presented in contrast to our complacent “lifestyles.” The walking dead literally hunger for life, while most of Kirkman’s readers, it seems, merely endure it. Super Dinosaur is a fun, fast read for kids. I bought this one for my eight-year-old son, and he devoured it in only two sittings. He took breaks only to run over to me to show me his favorite pictures and dialogue. Though the book is no work of genius for kids — as is Bone by Jeff Smith — it certainly reaches its intended audience. 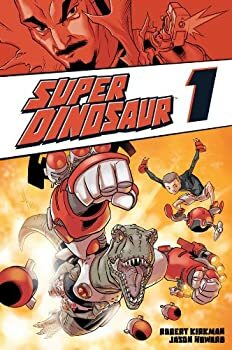 Robert Kirkman — author of The Walking Dead, the horror comic books on which the TV show is based — clearly wanted to write for a younger audience, and he succeeds with this first volume of Super Dinosaur.